There is an urgent need for a native English speaker to teach beginner-level English students grades K-4 at a Christian school in Debrecen, Hungary. The teacher need not have a teaching certificate, but should be able to teach the alphabet, basic words, songs, etc. The regular teacher is dealing with a serious medical situation and is expected to be out at least three months. For more information please contact us. This is the school’s website; it’s in Hungarian, but you can see photos. Even if you can’t help by teaching, please forward to anyone who might be able to help, and please pray for the teacher and her family during this time of difficulty. Thank you! Please pray for Gary this week as he serves in western Ukraine. Today he is doing a one-day Grain Game Bible camp for youth, demonstrating how it is done so that the local believers can learn to use these creative methods for reaching kids in the 10-15 age range. For the next week he will be working together with a volunteer from the US doing street evangelism and training believers in how to share their faith. Pray that God will be glorified in all that is done, and that the outreach and training will bear fruit for the Kingdom. Please be in prayer for New Mexico volunteer Dr. Curtis Smith as he ministers here in Hungary this week, using his background as Agricultural Science professor, county extension worker, gardening columnist and TV series host. Tonight he will be doing a presentation to area church leaders on how to use a Master Gardener program in outreach for Gospel connections. 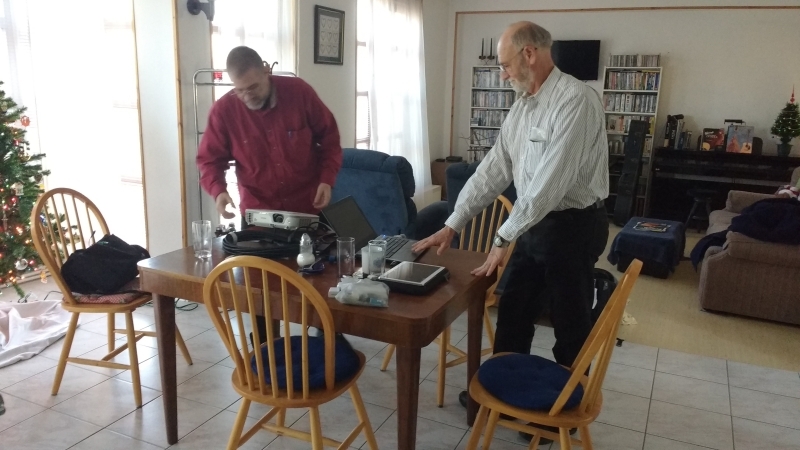 While in the Debrecen area he will be doing several presentations to various groups, doing site visits in Roma villages, and spending time with interested individuals. Pray that God will provide open doors for many spiritual conversations; also that believers will catch the vision of how to use agriculture and gardening not only for feeding the physically hungry, but also for providing spiritual food to those who need to know the Lord. Are you a native English speaker? God can use you on mission in Hungary! On the first day of English camp the Hungarian pastor warned us that one of our students was known in the town as a strong atheist…and at first she did seem closed. Even her face had a hardness about it. But throughout the week, as the love of Christ was shown and Christian testimonies shared, a visible change took place. By the end of the camp she was leaning forward in her chair, tears in her eyes. No, she didn’t come to faith that week, but soon she began attending the church’s seekers’ class. The following summer at camp registration my jaw almost dropped at the change in her — she hurried to greet me, her countenance softer and a new twinkle in her eye. The Gospel was working in her life in a powerful, transforming way…. 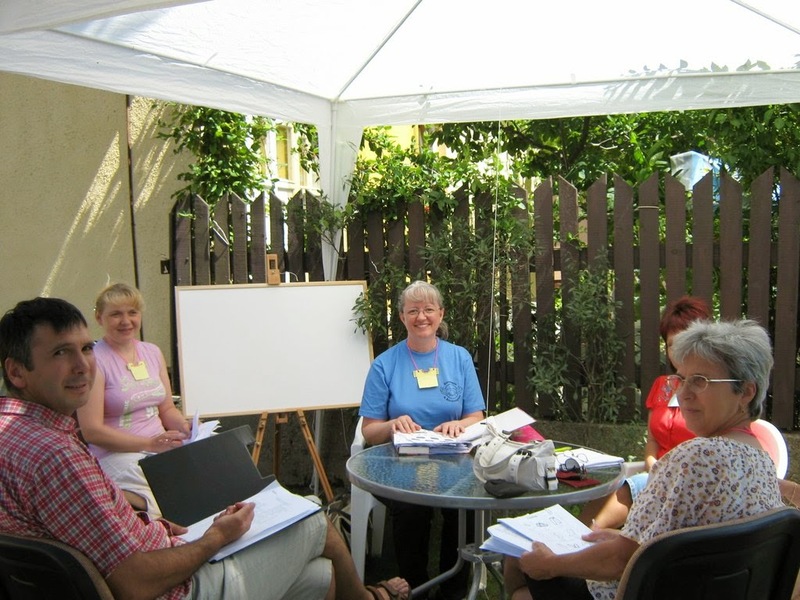 All across Hungary similar stories have taken place as English as a Second Language (ESL) is used to open doors for sharing the Gospel. There is a huge need for this kind of outreach–Hungarians of all ages are constantly asking for English language help from native speakers. Who is qualified to come minister using ESL? If you are a strong believer and speak English (which I assume you do if you are reading this!) then you could come provide conversation practice or teach at a camp, coffeehouse, school or in many other venues. Formal ESL training is helpful but not required. We are also looking for certified teachers who could come to teach a semester or year in the public schools. Pray with us that God will raise up many volunteers to come help with this exciting ministry!